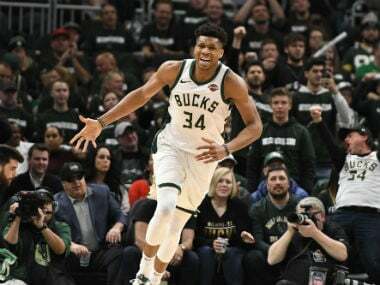 Los Angeles: Giannis Antetokounmpo tallied 30 points and 14 rebounds as the high-scoring Milwaukee Bucks took their frustrations out on the New York Knicks on Tuesday with a 109-95 win. Brook Lopez scored 20 points in the Bucks' victory — one of five NBA games played on Christmas Day. Milwaukee lead the league in scoring but they were coming off an embarrassing loss to the Miami Heat on Saturday in which they scored just 87 points. 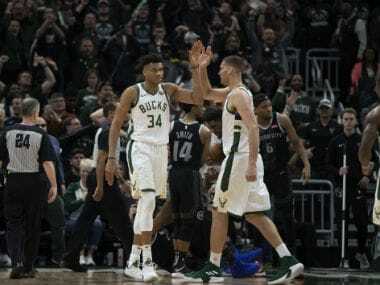 The Bucks also wanted to avenge a 136-134 loss in overtime to the Knicks, the last time the two teams met on 1 December at Madison Square Garden. "This is one of the highest stages," said Antetokounmpo of the Bucks, who were playing on Christmas for the first time since 1977. "Special teams play Christmas Day, and... it's an opportunity for us and we're really happy." Malcolm Brogdon finished with 17 points for the Bucks, who are one of the NBA's emerging teams and have won five of their last six games. 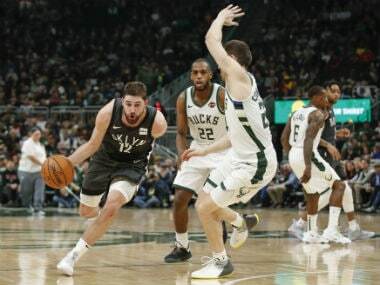 New York have lost five in a row and 10 of 11 since rallying to stun the Bucks earlier this month. 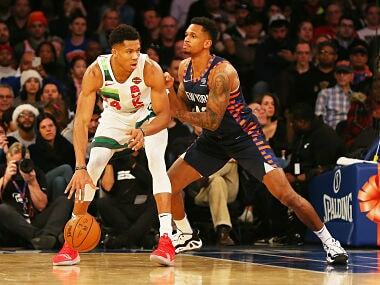 Rookie Kevin Knox scored 21 points for the Knicks in front of the standing-room-only crowd of 19,800 at Madison Square Garden. Elsewhere, James Harden scored 41 points as the Houston Rockets recorded their seventh win in their last eight games with a 113-109 victory over the Oklahoma City Thunder. 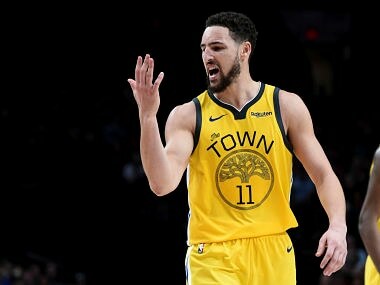 He has scored 35 points or more in his last five contests, which is the longest such streak since Carmelo Anthony did it over a six-game stretch in April 2013. "We've had that confidence all year," Harden said. "Our record isn't where we want it to be, but it's getting there. And we've got to continue to work hard every day, continue to get better and grow. "We're preparing for a postseason. We're not going to be at our tip top right now." Harden became the first player to score 40 or more points on Christmas since Kevin Durant had 44 for the Thunder eight years ago. Russell Westbrook sank one of two free throws to cut the Rockets' lead to just three points with 15 seconds left, but Houston's Austin Rivers made a free throw with seven seconds left to secure the victory. Clint Capela had 16 points and tied a season high with 23 rebounds for the Rockets. Paul George had 28 points and 14 rebounds for the Thunder and Westbrook added 21 points with nine rebounds and nine assists in the loss.